Having a hard time figuring out what to eat for your gluten-free diet? Then hit your local Farmer’s Market! Yes, your Framer’s Market can be your new gluten-free BFF! This is one of my favorite places to go in the summertime. They offer an abundance of fresh, whole fruits and vegetables – delicious and beautiful! I love to see what we can find to bring home and create new dishes. It is all so fresh and – all gluten-free! Have you ever chopped fresh kale? It smells like a fresh meadow – really! And, in the summertime, there’s really nothing better than a fresh picked tomato bursting with flavor. Grab your just picked tomato and slice it up. Layer it on your favorite gluten-free bread with some spinach or lettuce leaves. Many Farmer’s Markets also carry bacon which would be fabulous to add to your sandwich. 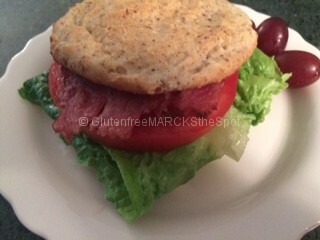 Smash on some avocado and you have created your own BLT! 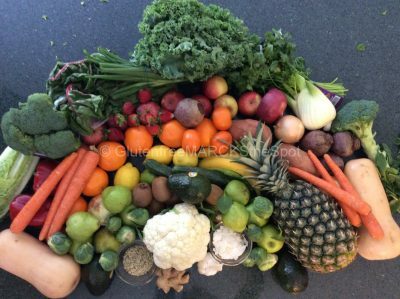 Grab a bunch of veggies. Chop them up. Either keep them raw or do a quick sauté. Serve over your favorite lettuce, quinoa or rice = instant lunch or dinner. Spice it up with a little curry, Italian seasonings or some chopped fresh parsley or cilantro. Add some avocado and olives for a dose of healthy fats. Quick and easy! The trick is to KEEP IT SIMPLE! 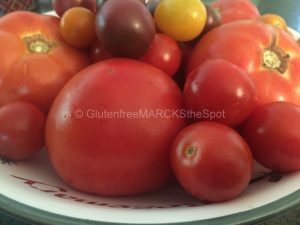 For a delicious, cold salad, slice up those candy-like sweet cherry tomatoes. I love the orange ones! Dice up a cucumber. Chop some parsley. Toss is all in with cooked, cold quinoa with a splash of lemon = Instant salad. Add some cooked chicken or fish to round it out. 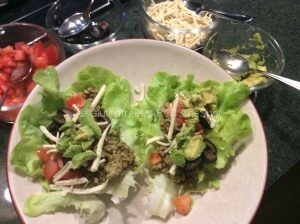 One of the favorites at my house is making tacos with lettuce leaves. Take the beautiful, fresh lettuce leaves and fill them up like a taco. We like to add our spicy beef with tomatoes and olives. The kids like cheese on top. Or, fill them with veggies drizzled with olive oil and sprinkle with pink Himalayan salt – add in some hummus or guacamole and roll it up – yum! You can really get creative here on what you place inside. Definitely a quick and easy meal. 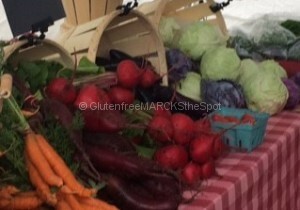 Hit your Farmer’s Market and learn all about your new gluten-free BFF! Get creative! It’s all about being SIMPLE! Want more ideas for your gluten-free life? Click Here to sign up to receive my weekly Newsletter! 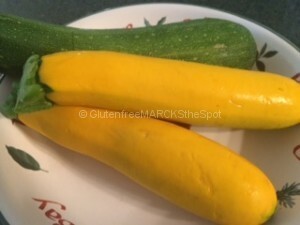 This entry was posted in Gluten Free Living, Recipes and tagged Farmer's Market, gluten-free BFF, gluten-free recipes. Bookmark the permalink.